Brown Bethune first earned his real estate license in 1984 and since then secured more than 250 commercial real estate transactions here in the coastal region of Myrtle Beach, from site selection to brokering development tracts, including 12 Swifty Serve Convenience Stores, Fairfield Inn, Red Lobster, Burro Loco, Captain George’s, Sparks Toyota, Martin’s Golf & Tennis, Grand Strand Storage, 84 Lumber, Cookout and many more. Before Brown co-founded SVN Tideland Commercial, he served as senior advisor for Tradd Commercial and worked for 19 years in the commercial division of Prudential Burroughs & Chapin Realty Inc. Brown was the firm’s top producer for 16 of those years and was awarded Agent of the Year in 2007. 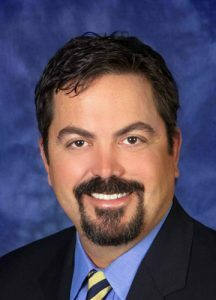 That same year, as well as in 2008, he was recognized locally by the Myrtle Beach Herald as “Best of the Beach” in the category of Commercial Real Estate Agent. Nationally, Brown was recognized with Prudential’s Legend Award for being a consistent top producer for 10 consecutive years, and ranked No. 1 in 2005 and No. 2 in 1999 in the nation for commercial production in the Prudential network. As a licensed real estate broker in South Carolina, Brown earned his Certified Commercial Investment Member (CCIM) designation in 2001. 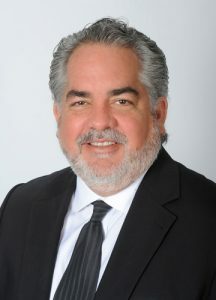 He served on the City of Myrtle Beach Zoning Board of Appeals from 2002 to 2004 and was then appointed to the Community Appearance Board, for which he is currently the vice chairman. Brown is an alumnus of Myrtle Beach High School, and attended Spartanburg Methodist College and Coastal Carolina University. When Brown isn’t busy building relationships in real estate, he’s known to build a better future for those in need, as he’s been on the Board of Directors for Helping Hands, the Membership Board for Partners Economic Development, and fundraising committees for the Boys Scouts, United Way, March of Dimes and Make-A-Wish Foundation. He and his wife Brenda have three children and two grandchildren. Phil, a licensed real estate broker, is a lifelong resident of Myrtle Beach and witnessed the many key phases of development and growth here in his hometown. In 1992, Phil graduated from The Citadel with a degree in Business Administration. He then went on to work in the telecommunications industry, in which he started and ran multiple successful businesses. In the past, Phil also ran website hosting and design companies. He started selling real estate in 2011. A master in marketing, sales and data management, Phil applies these skills to his focus on site selection and tenant/investor targeting. He’s passionate about building and maintaining comprehensive investor and tenant databases, implementing mass communication efforts, research and market analyses, and marketing development. Phil is also passionate about his volunteer work with the Boy Scouts. He earned his Eagle Scout designation in 1985 and today is a Order of the Arrow Santee Lodge Adviser, the district chairman for Chicora District and board member for the Pee Dee Area Council, Boy Scouts of America. When he’s away from his research, Phil enjoys family time with his wife Kelli and their five children.